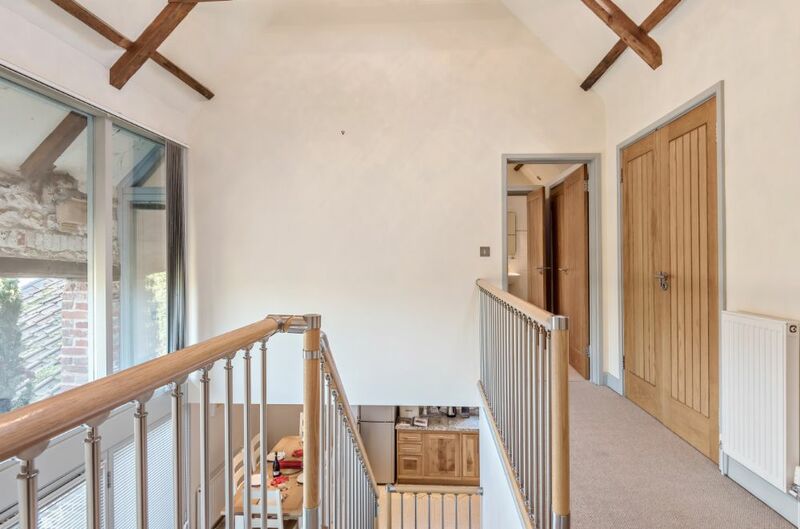 All open plan with double height hall with vaulted ceiling. 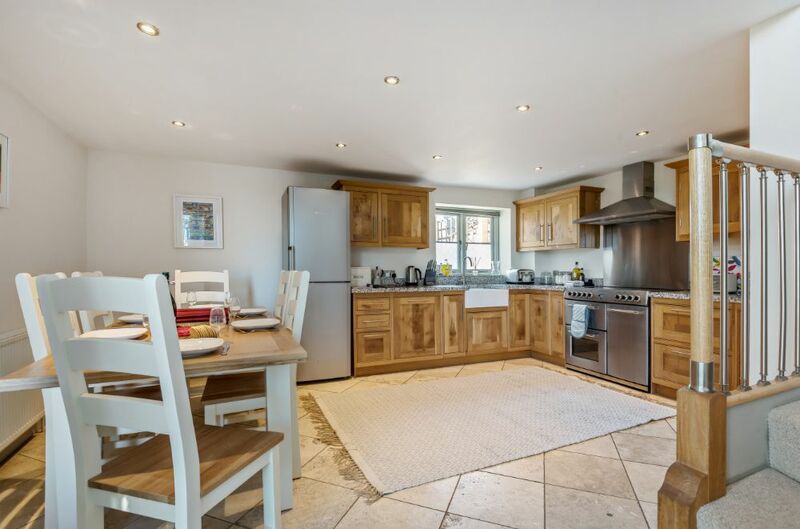 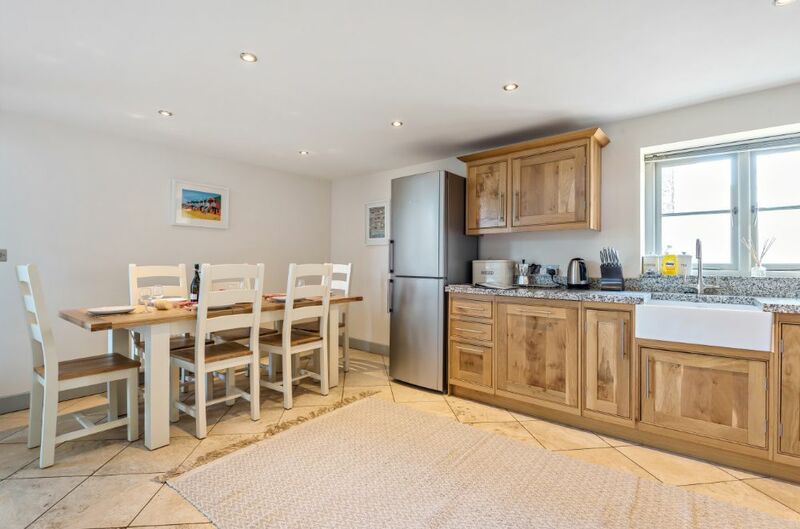 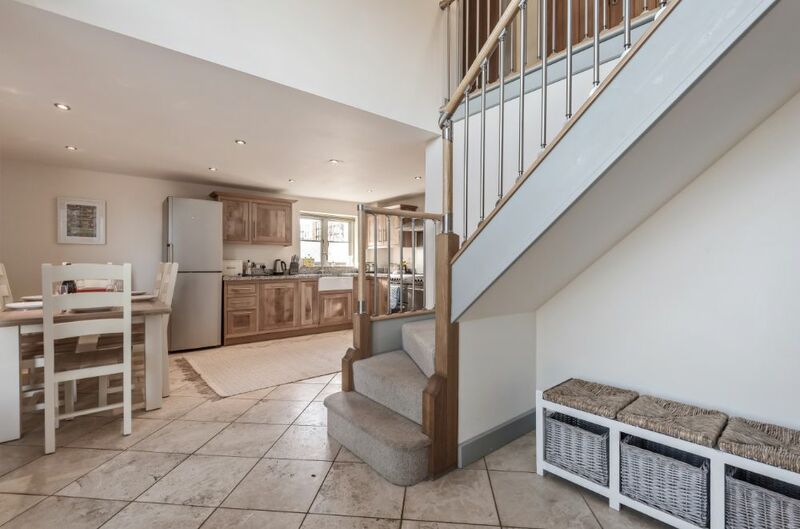 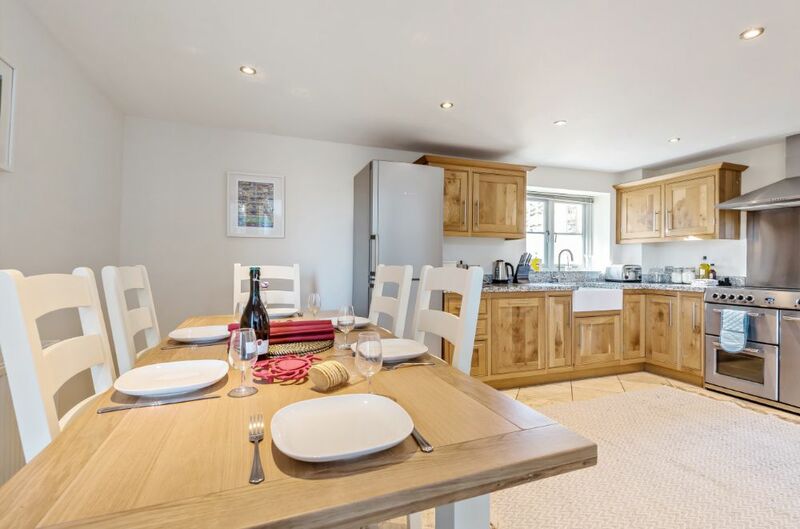 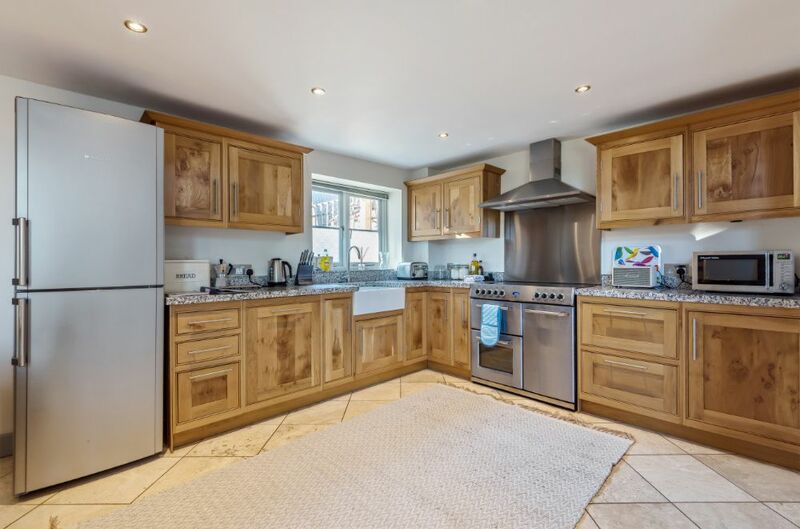 Kitchen: Light and spacious with fitted oak cupboards and granite work tops, range cooker, integral dishwasher, full height fridge/freezer and a dining table with six chairs. 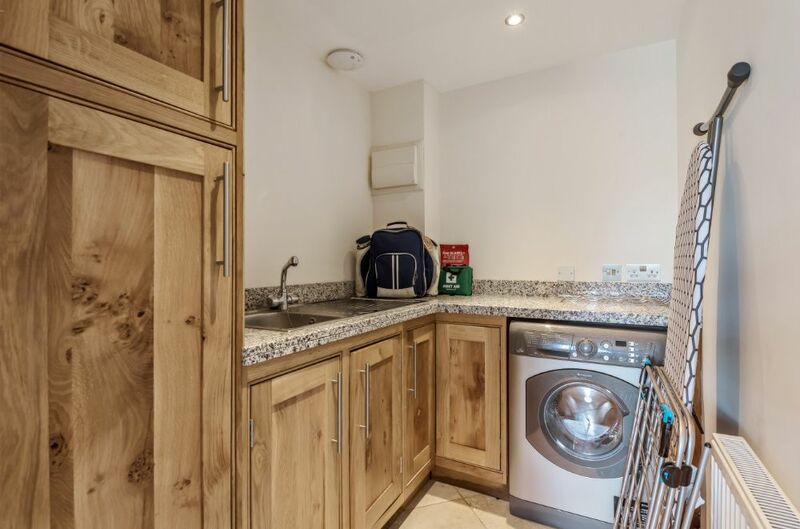 Utility Room: contains a washer/dryer, sink and storage cupboards. 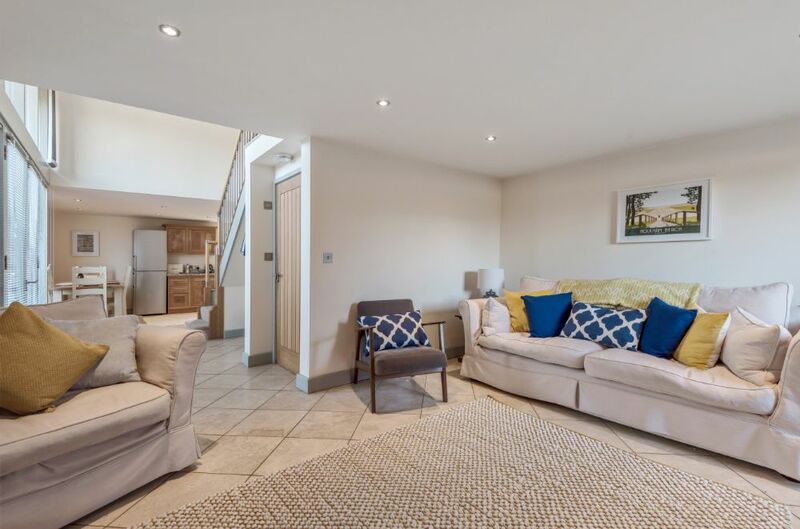 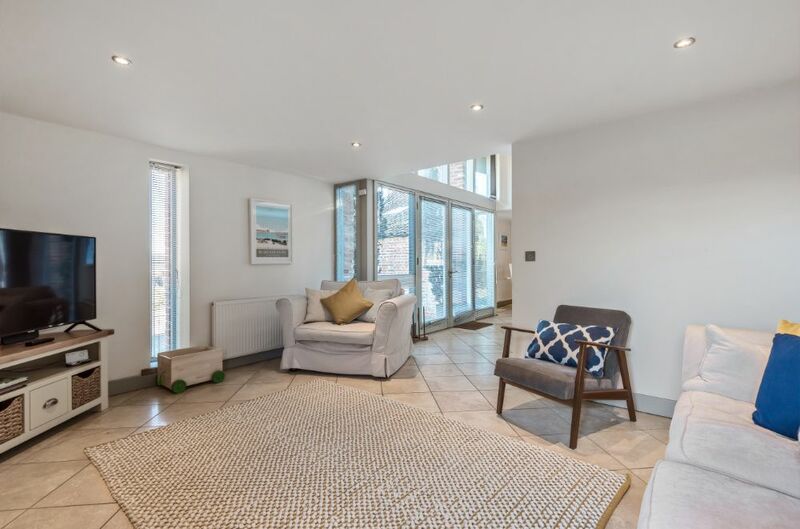 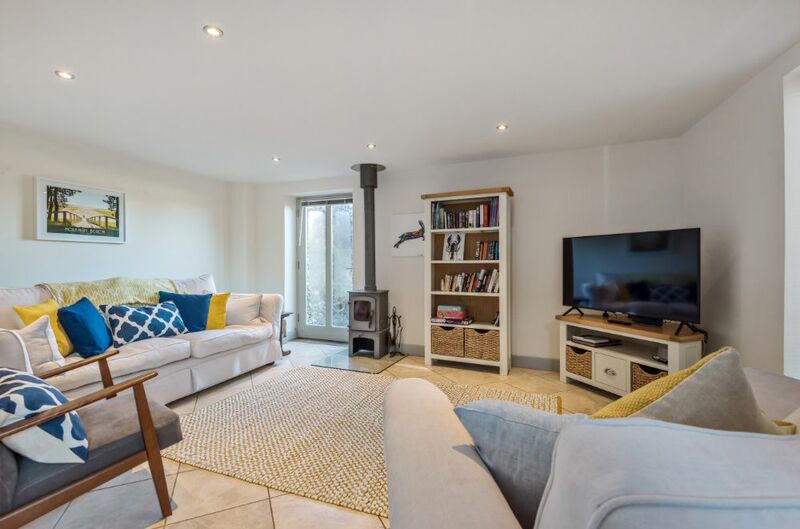 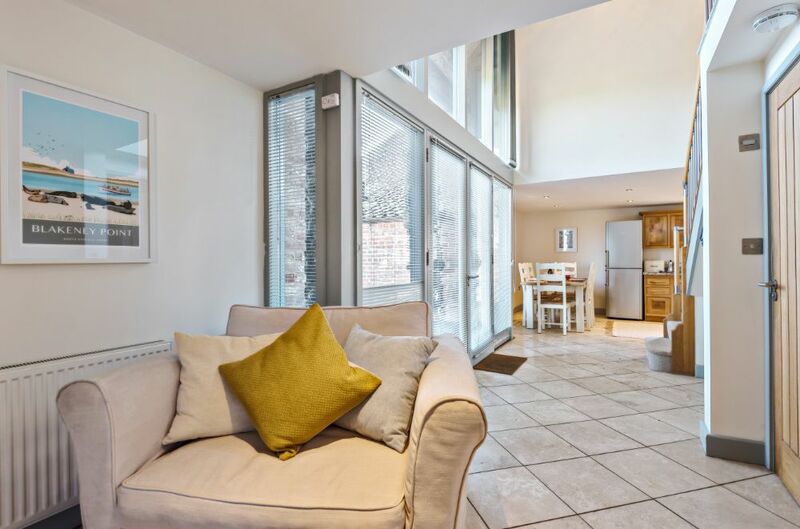 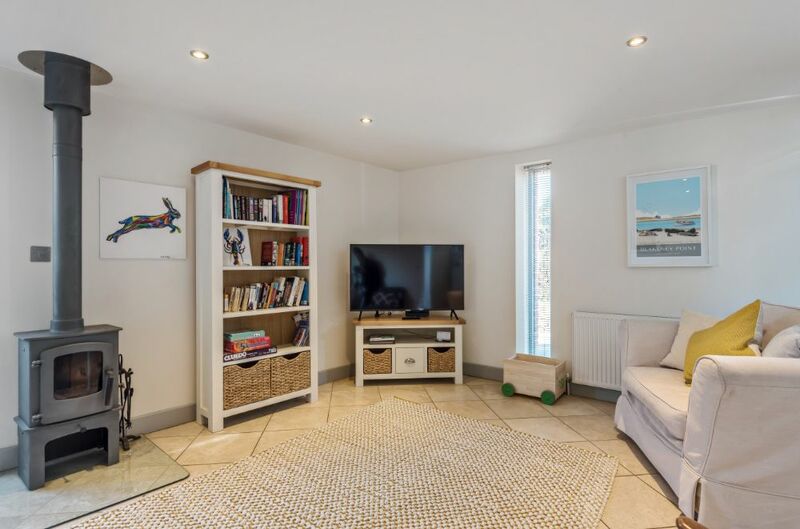 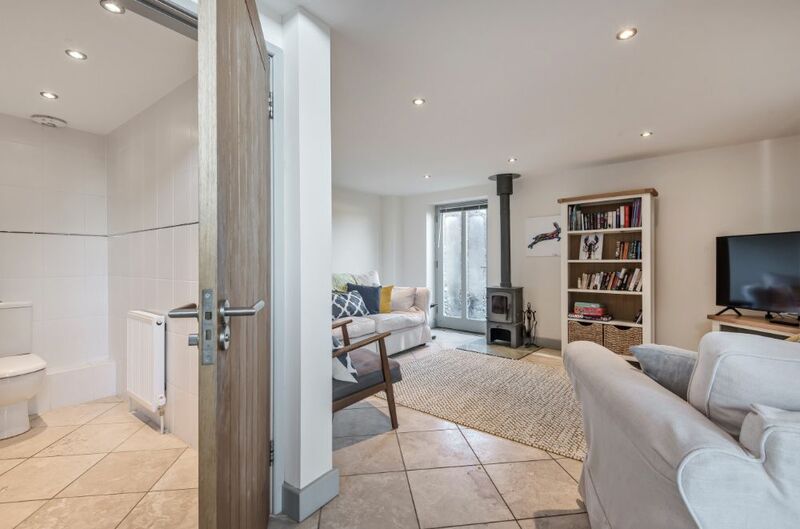 Sitting Room: Large sitting area with large comfy sofa and two armchairs, a bookcase with books a selection of games a wood-burning stove with stainless steel flue, flat screen TV, DVD. 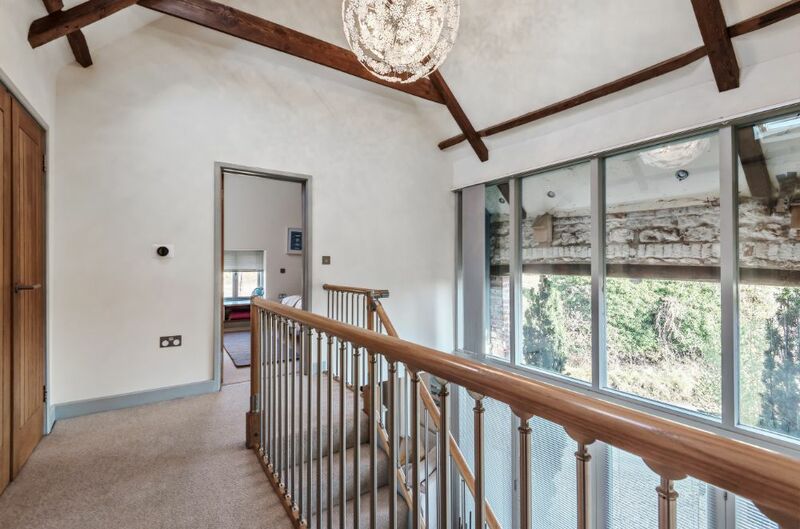 There's a door leading out to the courtyard garden. 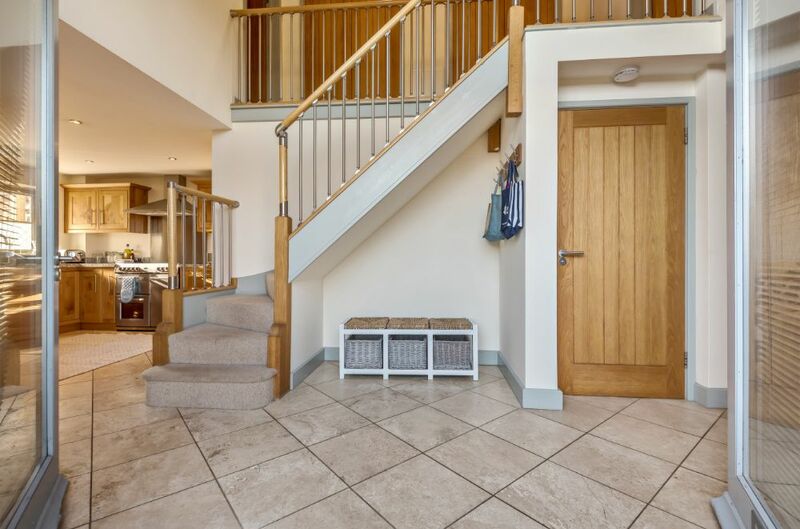 The staircase is not steep and has a hand rail. 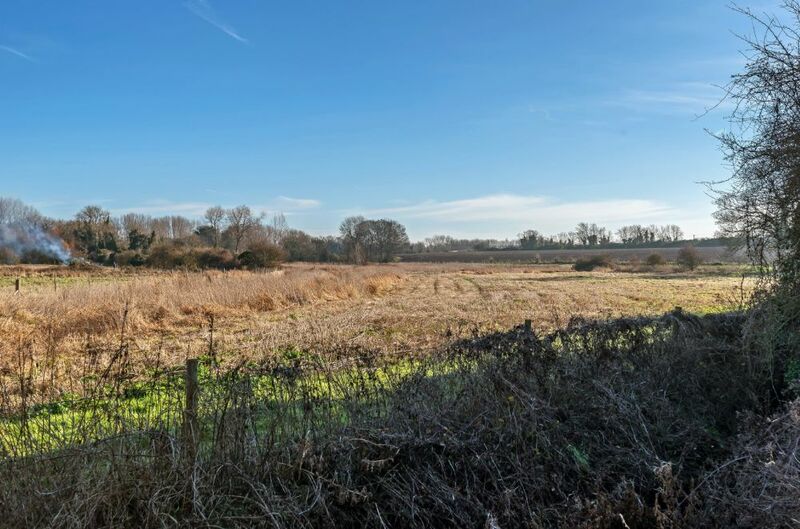 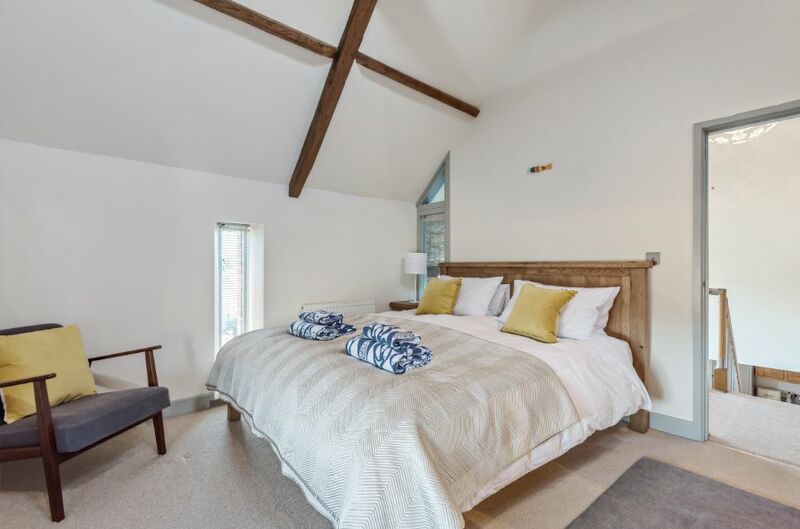 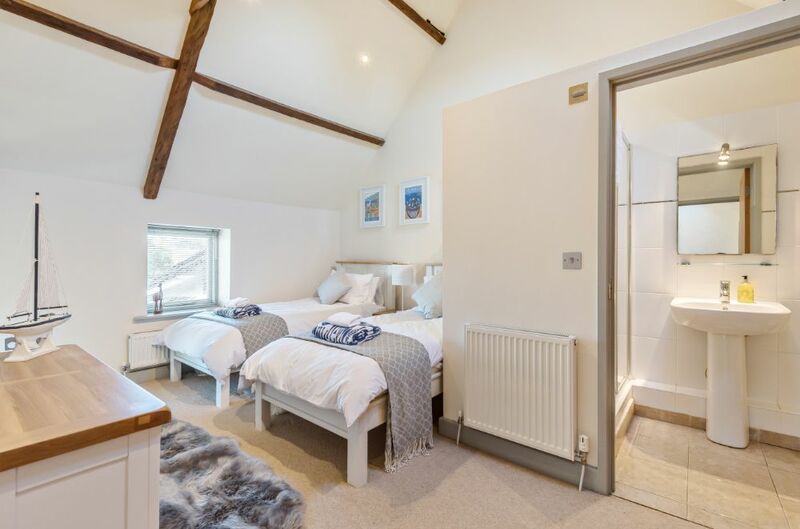 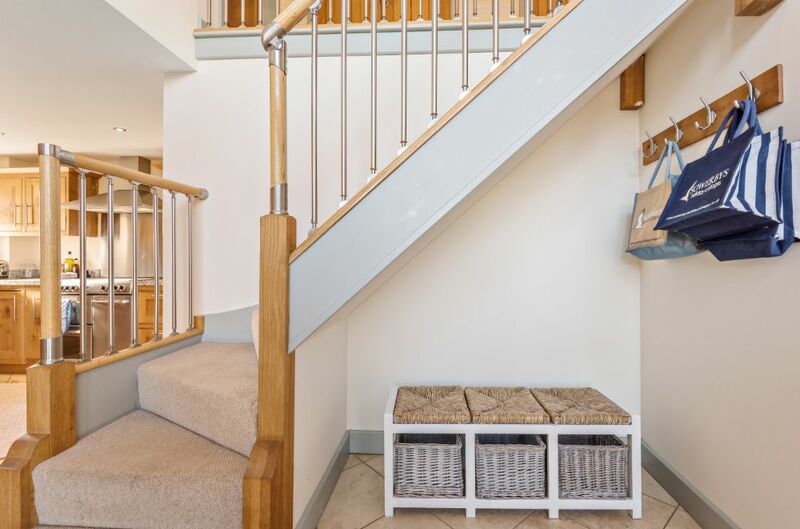 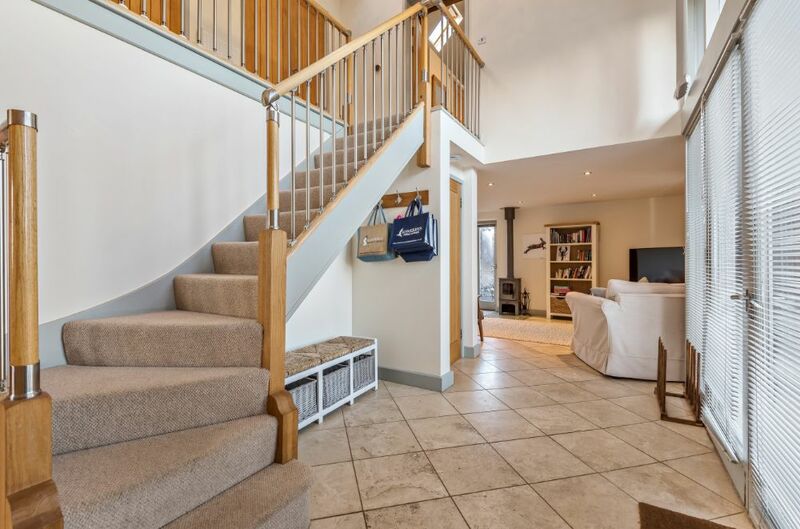 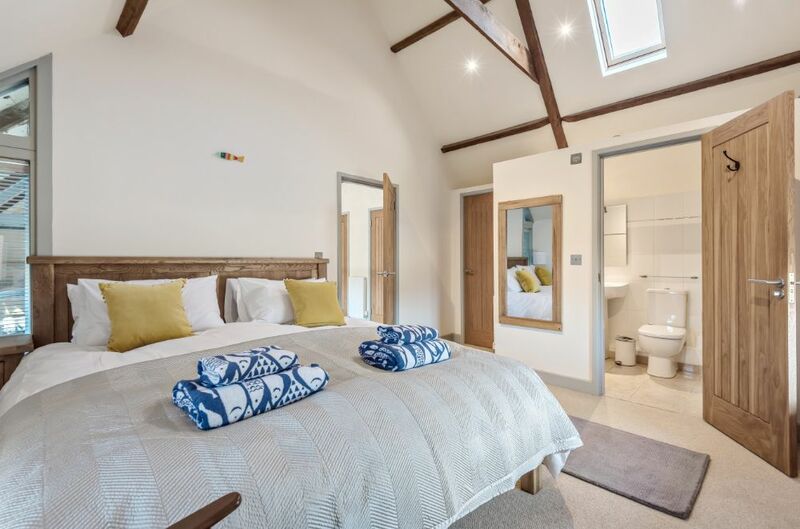 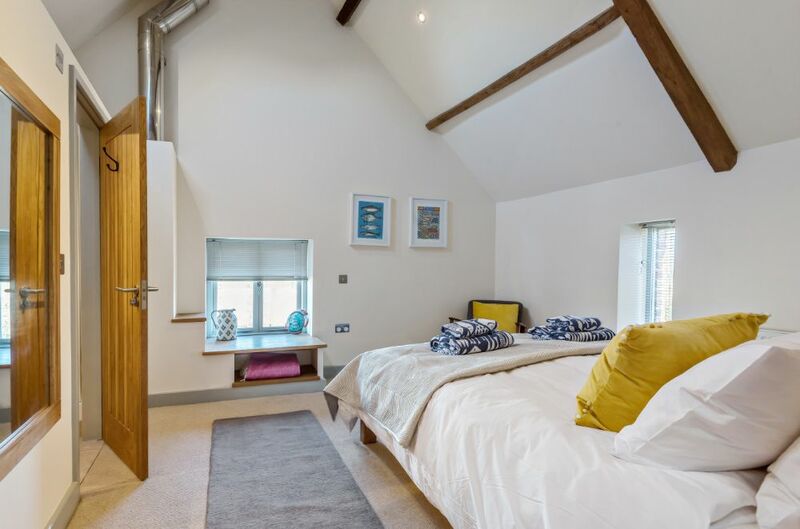 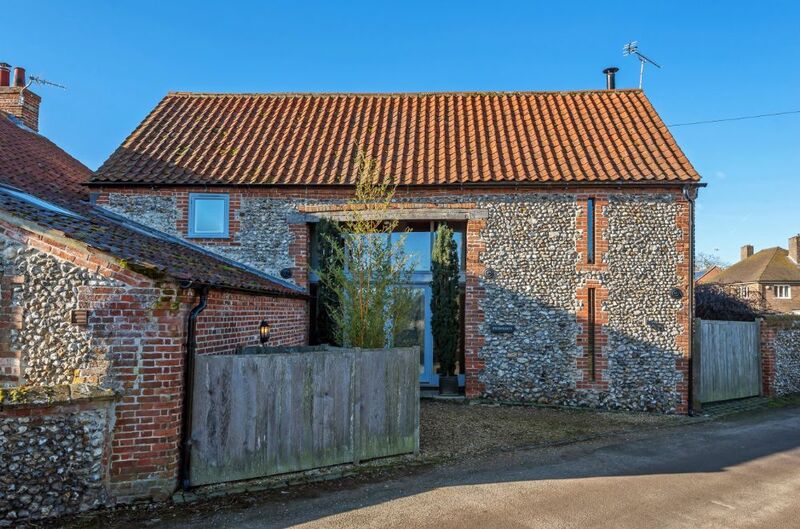 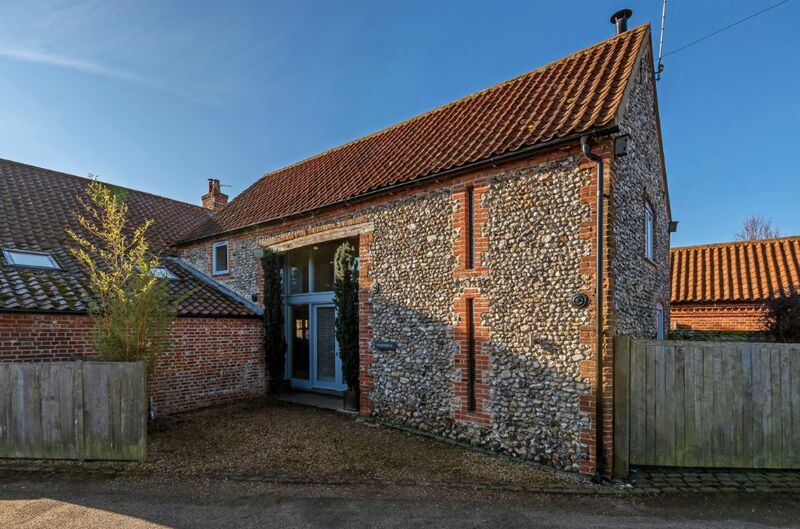 Both bedrooms have high beamed ceilings with lovely far-reaching countryside views. 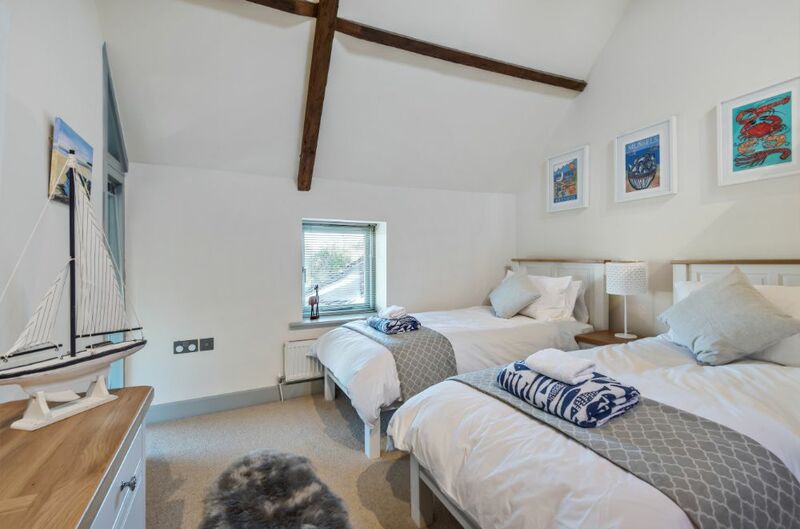 Bedroom 1: Double bed, bedside lamps, built-in cupboard with shelving and rails. 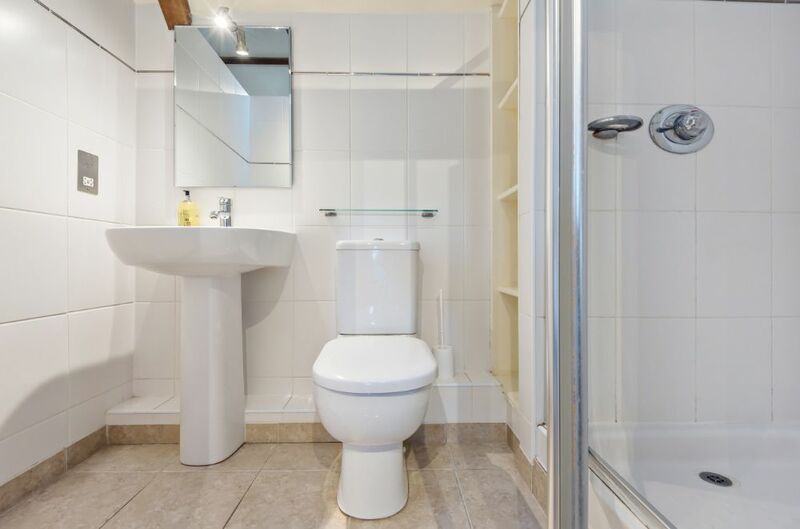 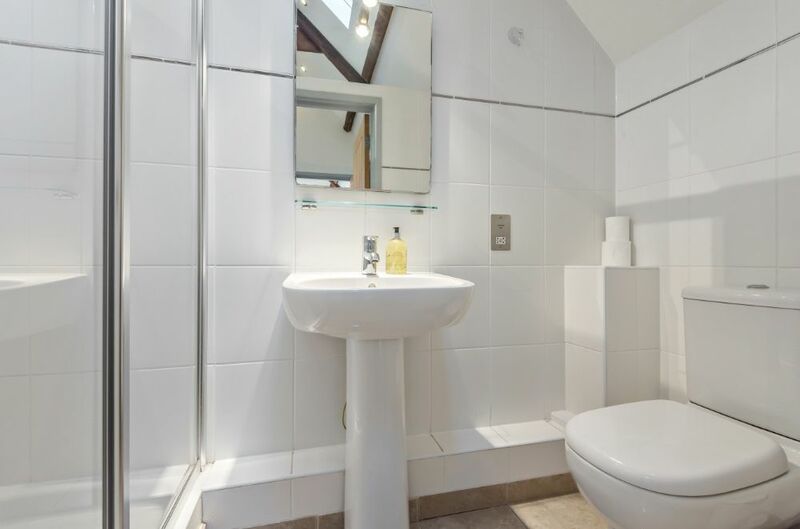 En-suite Shower room: walk-in shower, hand basin and WC. 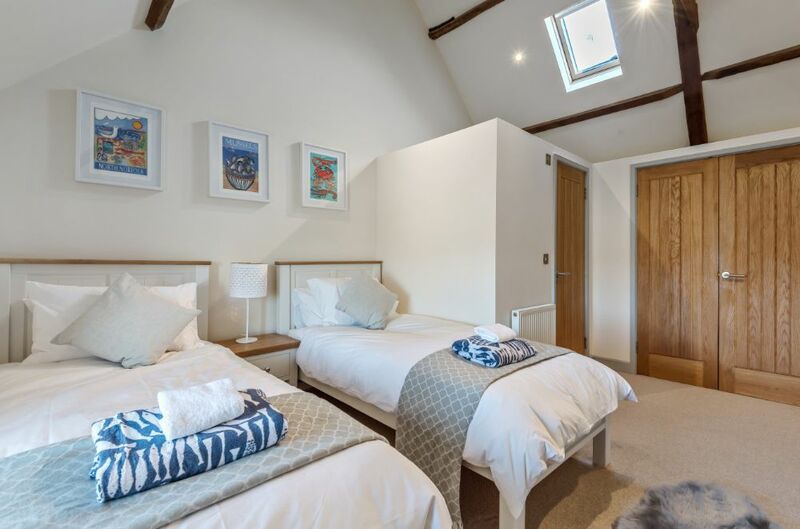 Bedroom 2: Twin beds, bedside table and lamp, built-in cupboard with shelving and rails. 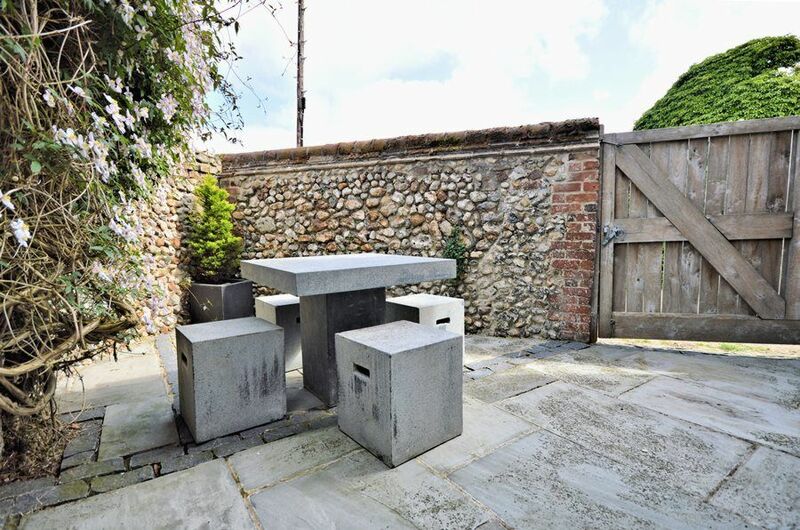 There is a small private walled terrace with stone table and seats which is accessed from the sitting room. 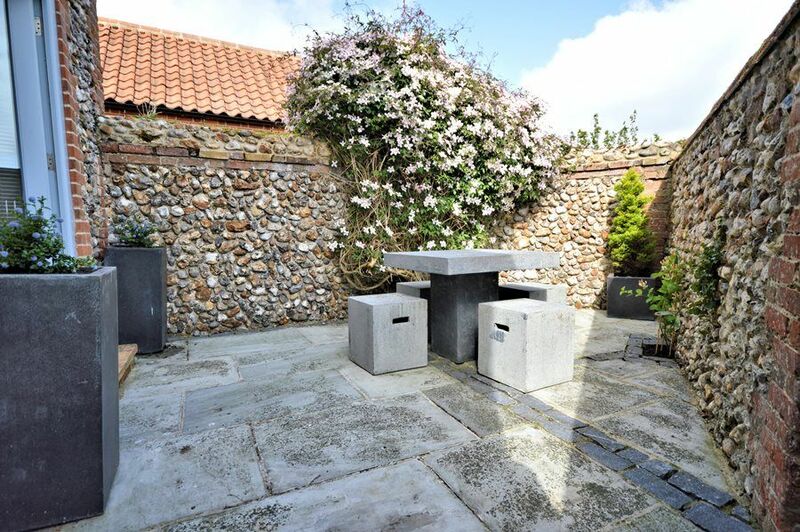 Dog owners should be aware that, although the courtyard is fully enclosed there is a gap under the gate that a small dog could get under. 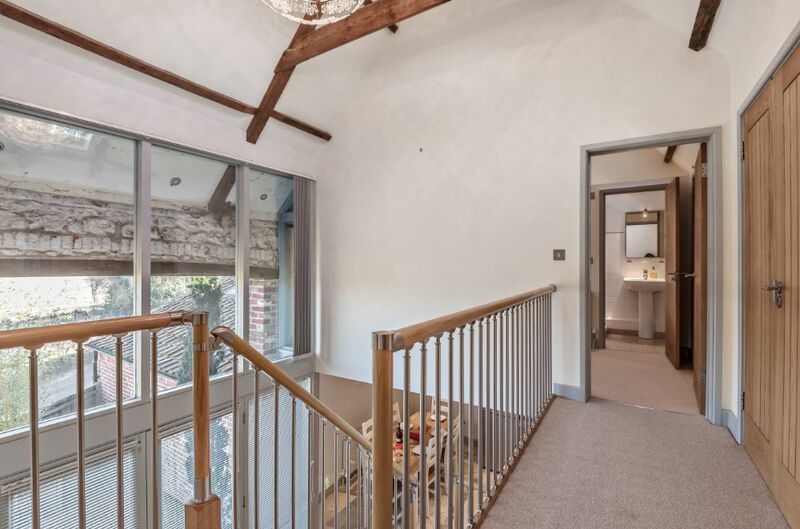 This is shown on the photo of the courtyard. 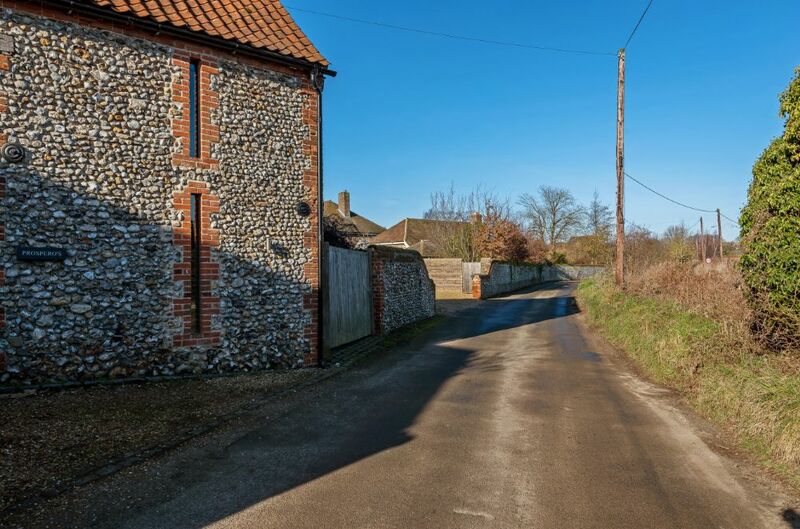 At the front of the barn there is off-road parking for one car. 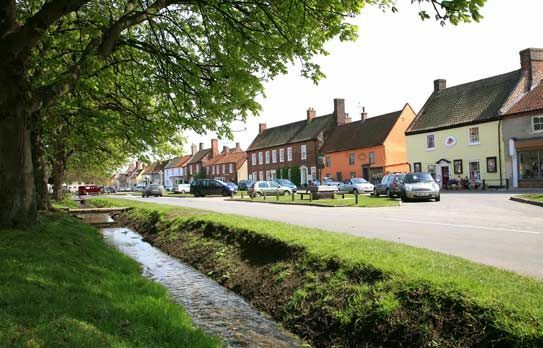 It is only a short walk to the village green with its fabulous selection of shops, galleries and places to eat and drink.